Stenz Construction Corporation was founded in 1973 as a General Contractor and Millwright, focusing in the early years on finish carpentry and constructing custom homes in Indianapolis and the surrounding areas. 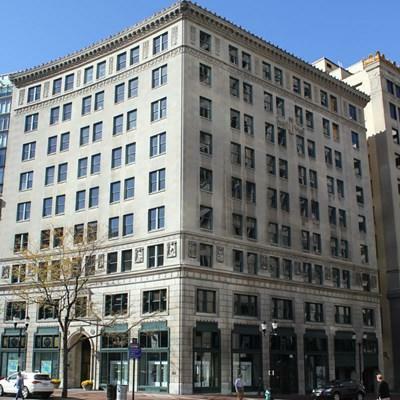 In 1976, recognizing an opportunity in urban redevelopment, the company acquired a building in historic Lockerbie Square in Downtown Indianapolis and renovated it into its headquarters. In the late 1970’s and early 80’s, Stenz made a name for itself as experts in large-scale historic renovations, completing such notable projects as The Walker Theatre, 54 Monument Circle (Lacy Building), the Canterbury Hotel, The Glove Factory, and the Indianapolis Repertory Theatre, to name a few. Stenz was an early pioneer on Massachusetts Avenue, moving its growing staff to the newly renovated Masalla Building (345 Mass Ave) in 1981. In 1987, Stenz moved its headquarters to 429 N Pennsylvania St., where it remains to this day. Over the years, Stenz Construction Corporation has grown into a full-service Construction Manager and General Contractor, focusing on ground-up construction and renovations in a variety of markets, including commercial office and interiors, education, religious facilities, retail, healthcare, residential and multi-family. Stenz has also remained a leader in historic renovations, restoring over 60 certified historic landmarks. In addition, the company has expanded its geographic footprint, completing projects throughout the state of Indiana and the Midwest. In 2013, Stenz Construction Corporation celebrated its 40th year in business. We are proud of our accomplishments over the years, and equally excited for what the future holds.